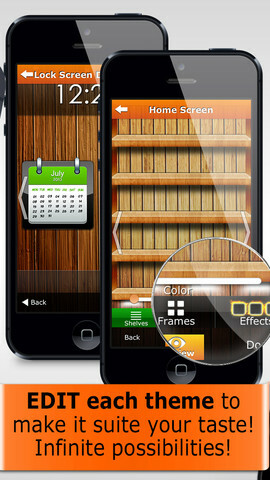 iTheme is an iPhone app developed by novitap. If you want to give your phone a fresh new look, the gorgeous themes in iTheme are a great way to give your phone a facelift. To be fair, it’s pretty easy to use your own photos to give your lock screen and background a fresh new look. Apple also has a few stock images that aren’t terrible. But iTheme is worth buying because it makes personalizing your phone easy as pie. 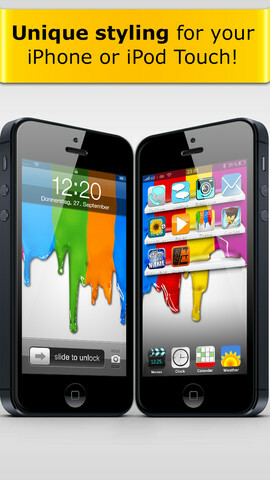 The home screens and the lock screens match, giving your phone a clean, professional look. Not totally sold on a theme? You can edit them, adjusting the iTheme templates so that they suit your needs perfectly. Even saturation, brightness, and contrast of each theme can be tweaked! 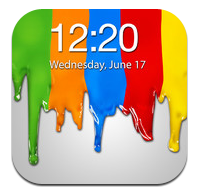 Boasting more than 500 themes on the iPhone/iPhone touch, and more than 400 on the iPad, iTheme is well worth 99 cents. You can also add Calendars and other overlays, deeply infusing the theme into the fabric of your phone’s look and feel. The app is continuously updated with new themes. 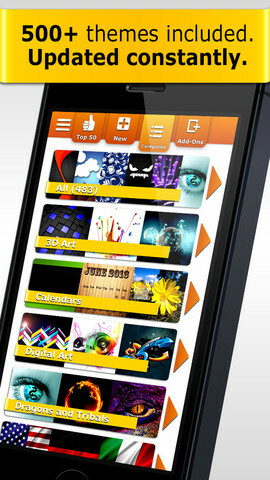 With hundreds of themes to choose from, it’s pretty unlikely you’ll ever get bored with your options. Apparently, the app also has a number of seasonal/holiday themes, so you can add a bit of holiday spirit to your phone if you like. If you get stuck, novitap makes it really easy to troubleshoot any problems you’re having with the app. With a solid database of tutorials, this app is gorgeous and easy to use. It’s nice to use an app that feels like it has a good support system in place. If you’re ready to take your iPhone to the next level, these gorgeous themes are just the ticket. They’re really lush, high-res, and creative: what more could you possibly want? Seriously, you guys: 99 cents is a bargain for this transformative little app. 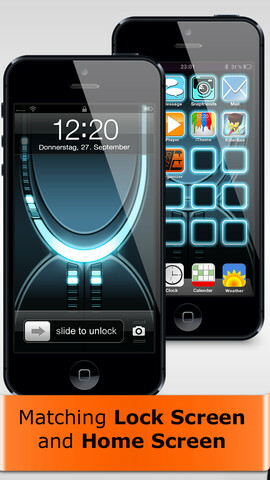 iThemeis compatible with iPhone, iPod touch, and iPad. Requires iOS 5.0 or later. This app is optimized for iPhone 5.